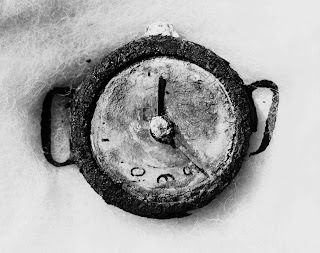 The Hiroshima explosion recorded at 8.15 a.m. 6 August 1945 on the remains of a wrist watch found in the ruins. UN Photo/Yuichiro Sasaki. Multilateral practitioners working in the field of nuclear disarmament are apt to complain that since the end of the Cold War, public concern and corresponding pressure on governments to reduce reliance on nuclear weapons has faded away. Other issues have come to the fore, and younger people haven’t directly experienced the existential dread of superpower nuclear confrontation and war. Grainy black and white images of the human costs of the aftermath of the 1945 atomic bombings in Japan seem a world away from today’s high resolution and the internet. Although the detonation of even one weapon would most likely have terrible humanitarian consequences, policy focus has moved to other issues. A case of out of sight, out of mind, perhaps. If there is a global issue that has claimed centre-stage, it’s climate change, which has effects we are already witnessing and must adapt to living with. Unlike climate change, nuclear weapons detonations are catastrophes still within human wit to prevent entirely - if the commitment and imagination to do so can be catalyzed. The International Red Cross and Red Crescent Movement recently emphasized the immense suffering that would result from any detonation of nuclear weapons, as well as the lack of any adequate international response capacity to assist the victims. It recalled the 1996 advisory opinion of the International Court of Justice, which expressed the Court’s view that the threat or use of nuclear weapons would generally be contrary to the principles and rules of international humanitarian law. The Movement all called on all state to ensure that nuclear weapons are never again used and to pursue treaty negotiations to prohibit and eliminate them. It’s also noteworthy that civil society organizations recently proclaimed their common commitment to a humanitarian framing of disarmament-related problems, in activities encompassing campaigning for nuclear weapons elimination. In October 2012, more than 30 non-governmental organizations and campaigns (including the International Campaign to Abolish Nuclear Weapons or ICAN) joined forces for a Humanitarian Disarmament Campaigns Summit in New York. The event’s Communiqué called for “strong disarmament initiatives driven by humanitarian imperatives to strengthen international law and protect civilians.” ICAN plans to convene a large-scale civil society forum in Oslo the weekend before Norway’s inter-state conference. All of this could conceivably contribute to widening the current prevailing inter-state discourse about nuclear weapons. To contribute to the unfolding policy debate, UNIDIR has commenced a new project on the humanitarian impacts of nuclear weapons. 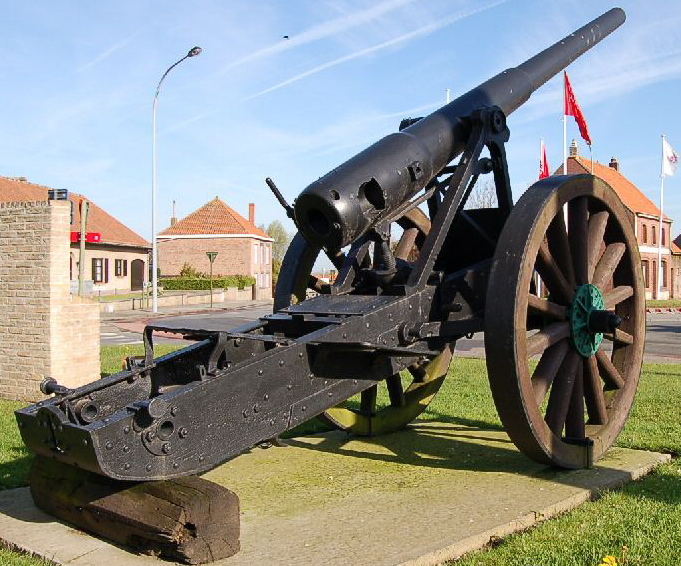 It follows on in part from our prior work over a number of years on ‘disarmament as humanitarian action’ - the initial rationale for setting up this Disarmament Insight blog. The first of the project’s papers, authored by Tim Caughley, traces the notion of catastrophic humanitarian consequences in law and policy in the domain of weapons restrictions. The second paper, my own, examines the contemporary context and potential implications of viewing nuclear weapons through a humanitarian lens. Over the next several months we'll add to this analysis, while continuing to follow international developments in this area closely. Keep checking back for updates: it’s going to be an eventful year. Dr. John Borrie is a senior researcher and policy advisor at UNIDIR. “My mind is a corridor. The minds about me are corridors. In his recent monograph of war poet TE Hulme, David Worthington remarked that Hulme’s poem ‘Trenches: St Eloi” (from which the quote above is drawn) has obvious contemporary resonance. In so saying, Worthington may not have had the desperately bogged-down Conference of Disarmament (CD) specifically in mind, but an analogy with the CD is not far-fetched. As the Conference prepares for its 2013 session (to run from 21 January to 13 September), its 65 member states will be acutely aware that their current paralysis is entering its 16th successive year. This is not any normal disagreement over the precise wording of a disarmament treaty. If only it were. Rather, the CD is deadlocked simply over how to get the negotiation of a treaty underway. No lasting blueprint for negotiating a new treaty has emerged in 15 annual 24-week long sessions. The trenches have been dug so deeply that the warring parties hunkered down within them seem either entirely disoriented or immune from growing international pressure for an end to the hostilities. Whether or not the minds of CD member states resemble corridors, there is a strong sense amongst them of the futility - echoing Hulme - in having nothing to do but, in the face of continuous stalling by the nuclear powers, keep on enduring seemingly endless repulsion in the quest for an acceptable formula for a blueprint or mandate that will trigger a new negotiation. Alternative ways forward within the Conference – including successful recipes of the past - have been regularly suggested on this site (see links below) and are not repeated now. But concrete alternatives outside the CD have recently emerged at least in respect of two of the possible subjects for treaties on disarmament issues. The decisions of the UN General Assembly to establish forums on nuclear disarmament and on a ban on the production of fissile material for explosive purposes may not challenge the actual legitimacy (as opposed to the effectiveness) of the CD. But at the least they amount to an incentive to its members to rethink the repressive way in which the rules of procedure of the Conference are applied particularly to the laying of foundations for launching treaty negotiations. More importantly, these developments should offer encouragement to members that the issues in which they are most interested do not have to be eternally trapped within the Conference. It will be intriguing to assess at the end of this year’s 6 month session of the CD where the balance of effort of disarmament diplomats was expended – on revitalizing the CD or in pursuing fresh new ground beyond the current trenches. ... Any bets?